NOTE: This is Part 4 in our ongoing series documenting the history of our company. If you’re just joining us, be sure to read Part 1, Part 2, and Part 3. As our customer base for QubeCalc slowly grew, we began to get requests for a “more powerful” version of the program. 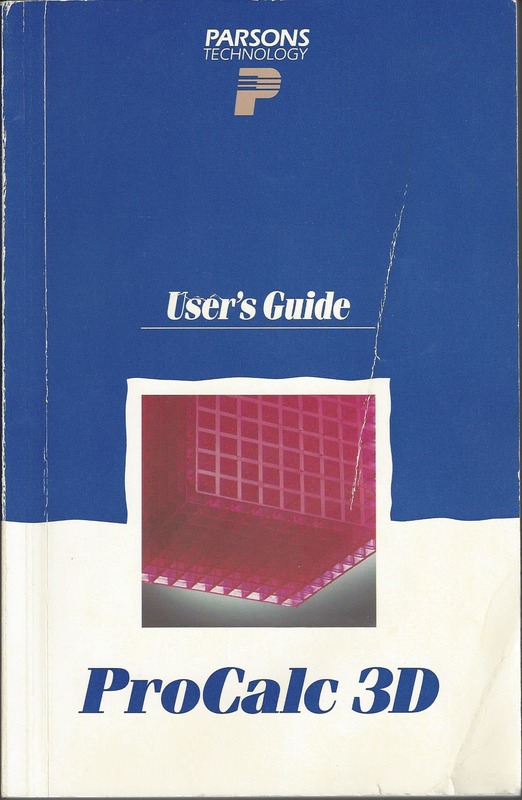 This really hit home when we exhibited at COMDEX Fall in November 1988. It cost us almost $3000 for a 10×10 foot exhibit space, and once we set up, we realized we were really out of our league. We didn’t have employees, so I worked the booth by myself the entire five days. We took the kids and drove down to Las Vegas, and spent the week at the Motel 6. During the conference, all I kept hearing was “Can the program do this like 1-2-3? Can the program do that like 1-2-3?” It made it clear that low-cost wasn’t enough, the program had to be more powerful. I returned from COMDEX and spent the next year on a rewrite of QubeCalc, taking what worked well, changing what didn’t, and adding more “wonderfulness” to it. 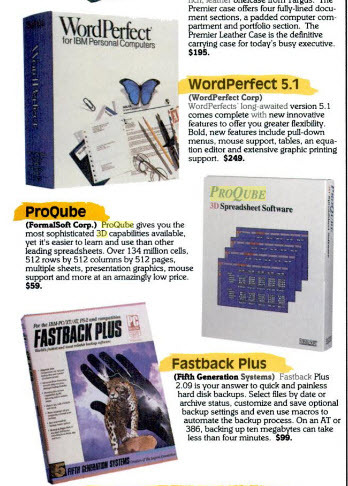 In September of 1989, we released “ProQube,” so named because I figured it was a “professional” version of QubeCalc. We decided that to be taken seriously, it shouldn’t be shareware, and it should be more expensive. People kept telling me that a $69.95 spreadsheet obviously couldn’t compete with $495 programs, so we priced ProQube at $249.95 and put it in one of those fancy 3 ring binder slipcases like Microsoft and other “real software companies” used. The problem is, if you didn’t order thousands of those binders at a time, they cost about $25 each. And then if your $250 program doesn’t sell very well, you’re stuck with a bunch of very expensive binders. After a year of slow sales, I lowered the price to $99 and created a light version of ProQube (called ProQube Lite) which I released as shareware and priced at $25. We switched to a much cheaper cardboard box like the one in this MicroWarehouse ad from 1990. This decision brought in enough sales for one final shot at COMDEX. We spent nearly every last penny to make an impression at COMDEX ‘90. We even bought a full-page ad in the COMDEX guide book. We knew that we needed something big to come out of this show or it would be the end of the road, and I would have to go get a “real job” again. During the show, a guy from the Justice Department came by the booth and asked for a demonstration of our products. He didn’t really say much, but came back the next day and said that the department needed a site license for their agents in the field. It looked like our ship had finally come in. They were actually interested in our InstaCalc program to install on the portable computers of all department field agents. They didn’t want to pay the high price for one of the big spreadsheet programs, but they were planning to spend more than enough to put our little company in good shape. After COMDEX had ended, I spent the rest of the year corresponding back and forth with government paper pushers and continued several months into 1991. With each passing day, week, and month I became more convinced that this was not going to happen in my lifetime. As I was complaining to my wife about it, she suggested I call the 2 guys in trenchcoats who had given me their cards back at COMDEX. I wasn’t even sure where I had put their card since it had been 3-4 months since COMDEX ended. I finally found the card under a pile of papers and decided to give them a call. Some guy named Bob Parsons who had a software company called Parsons Technology. I hadn’t ever heard of them, but I figured I had nothing to lose at this point. I called Bob, and we talked for some time as he told me they were really looking to add a spreadsheet program to their product offerings. After several weeks of negotiations, we licensed our ProQube program to them, and they renamed it ProCalc 3D. This was the beginning of a new phase in our company’s history. We were now a software development company rather than a publisher. We no longer had to worry about sales, support, marketing or anything else other than developing and enhancing our software. Even so, it became a great opportunity to learn the ins and outs of software publishing from a much larger company. With the release of ProCalc 3D, our first monthly royalty check from Parsons was more than we had made in a full year selling the software ourselves. We were able to pay off credit cards, parents, and other assorted loans over the next year to put our company back in good fiscal shape. But despite the success of ProCalc 3D, it was our next product that came to define us and set our company in a new direction that we have been traveling ever since. It is fascinating reading the history, Bruce! I was at COMDEX Fall in 1988!!! I’d love to be able to say that I remember your booth, but alas, I don’t. Keep the history coming – I feel like I’m in the middle of a great novel and just waiting to read the next chapter! Bruce, in the late 80’s I was looking for spreadsheet software for the Kentucky Highway Department. We owned about 500 PC cones then and were looking for software licenses. Lotus wouldn’t talk to us. I looked at your offering from Parsons and Borlandd’s Quattro Pro. Then, I ran into Adam Osborne of Paperback Software at a computer show in Chicago. He verbally agreed to a site license for 500 units at $9.99 each. We had a Purchasing limit back then. Adam and another guy came to Kentucky and taught spreadsheet classes for us. We used VP Planner until Excel version 4 came out. 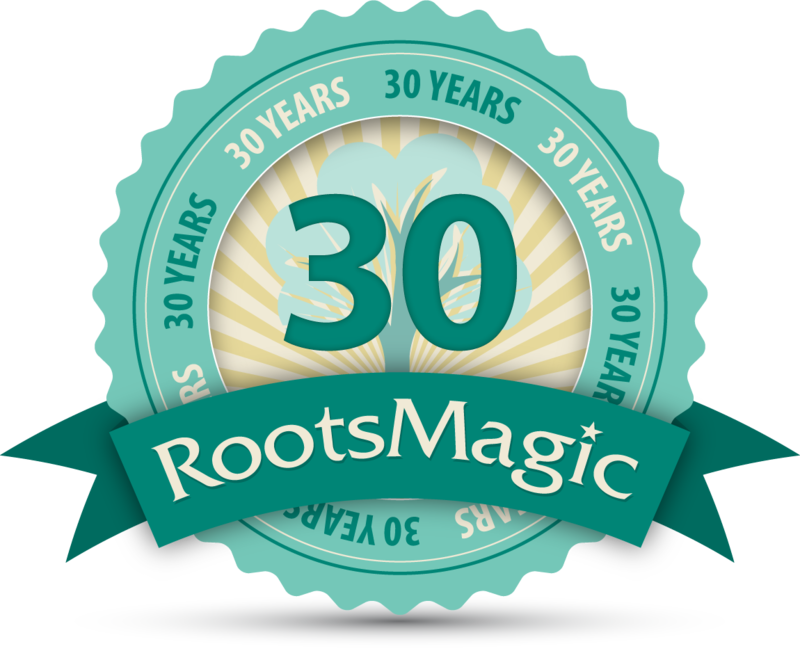 Back In the Day……………..
I’ve had my “RootsMagic” program since the very beginning. It was a small share-ware program. [at the moment I can’t remember the name of the deveoloper] That was the mid- 1990s. Then Parsons took it on and added a few bells and whistles. When it finally became Rootsmagic, more updated bells and whistles arrived! But through all those years the basic program remained the same, don’t fix it if it isn’t broke!! I still have many of my photos of family members on an old version of Family Origins. They appear quickly on my Rootsmagic. One of these days I’ll get around to moving them to my new photo file. Thank you for NOT trying to change the basic program!!! I agree with Betty – please don’t change the basic programme. 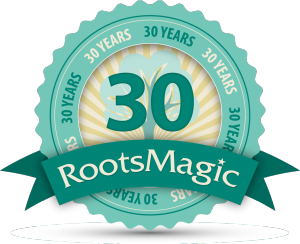 I haven’t been a user of RootsMagic as long as Betty, but over the past 25 years or so I’ve used many different pieces of Genealogy Software (some quite expensive! ), but for clarity, ease of use and information shown and value for money, there’s no doubt in my mind that RootsMagic has IT! Wonderful to hear all about your Company and your ‘trials and tribulations’ – just shows that perseverance pays in the end. Keep going, Bruce – I for one have ‘sold’ the idea of RootsMagic to many friends. I feel like I just binged on a great show! When does the next episode drop? Always Mondays?